Well according to PHS it IS a 1974 GTO. 350/3 speed stick on the floor,no console, bucket seat hatchback(1 of 687). Original invoice shows it was purchased by a New York Export company, which means it probably was a fleet rental. Do your research before you go spouting off. Drove one 150k. 350 with 3 speed floor console. 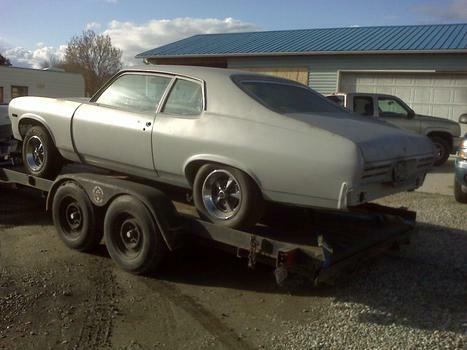 Without a doubt this is a '74 GTO. 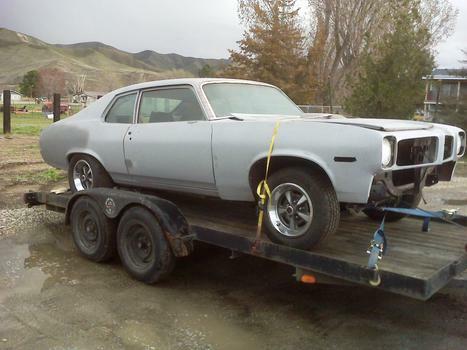 On a Pontiac website the build figure for the hatchback was 1723, which makes it the rarest GTO. The car was much lighter weight than previous GTO's and performed rather well with their 200 hp 350 c.i. engine. Congrats on your find for restoration. I have a 74 gto. Bought new! I will never sell. Beautiful car. Tired of all the bad feedback. They did have the small block. Atleast it wasn't powering a huge bodystyle. Some of them bigger gto's needed big..big engines. Side by side they would'nt intimade me!! !